Heat half of the oil a large non-stick frying pan over a medium heat. Cook the wraps, in batches for 1-2 minutes each side, or until crispy and puffed. Set the crispy wraps onto a clean work surface. Lay a base of rocket leaves onto the wraps. 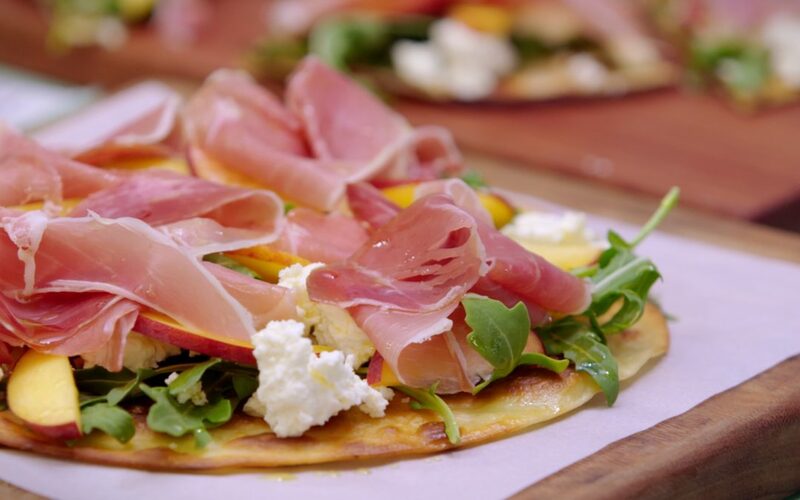 Crumble over the ricotta cheese and scatter on the peach and prosciutto. Drizzle with extra olive oil, sea salt and cracked black pepper.